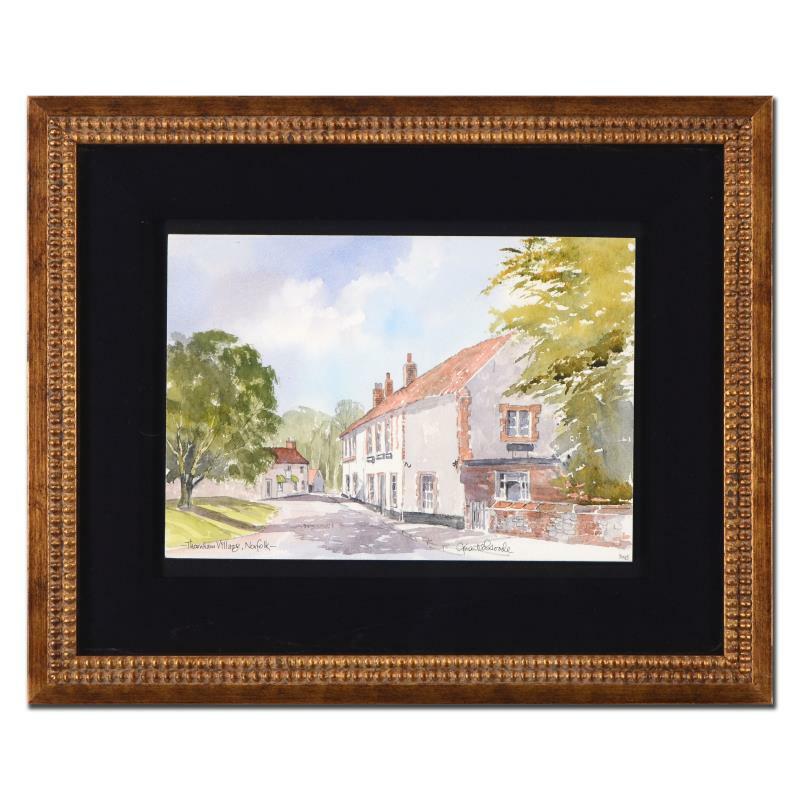 Martin Goode (1932-2002), "Thornham Village, Norfolk" Framed Original Watercolor Painting, Hand Signed with Certificate. 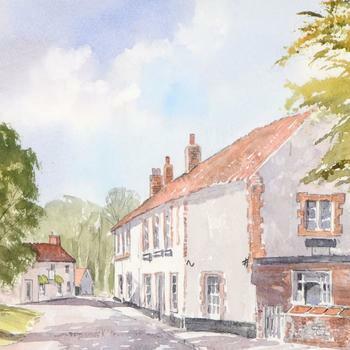 "Thornham Village, Norfolk" is an original watercolor painting on paper by Martin Goode (1932-2002), hand signed by the artist. This piece comes custom framed. Includes Certificate of Authenticity. Measures approx. 18" x 14.5" (frame), 11.5" x 8" (image). Martin Goode was born in London 1932 and began showing interest in sketching and cartooning at a very young age. When he lived with his family in the small Scottish village of Tillicoultry for five years, Goode became inspired by the diverse countrysides of England and Scotland, subjects that soon became his favorite to paint. While he sketched, drew, and painted in his free time, Goode's artistic career started as a photographer, then a commercial artist and graphic designer. As he became more well known, he used his combined skills of art, photography, and printing to found his printing company in 1978. His work was so popular that in 1987 in expanded further, producing fine art prints depicting scenes of Britain's cities, towns, villages and landmarks. It continues to flourish today, even after Goode's untimely passing in 2002, and his paintings are more beloved than ever.